Brian Lynch, Old Abbey AC, is the winner of the Cork City Sports Athlete of the Month for August. Brian won the silver medal in the 400m hurdles at the Celtic Games International competition held in Grangemouth Stadium Scotland on the 4th August. This was the culmination of a great season for Brian who excelled in decathlon competitions throughout the summer months. He represented Ireland with distinction in this event at the European Under 18 Championship held in Hungary earlier in July. 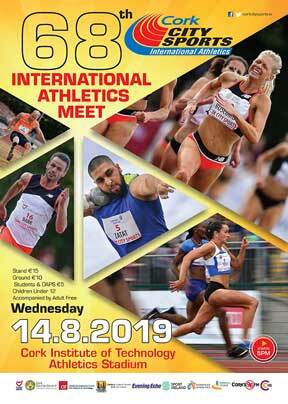 The Cork City Sports Athlete Of The Month Award is sponsored by Cork’s 96FM, The Evening Echo and The River Lee. 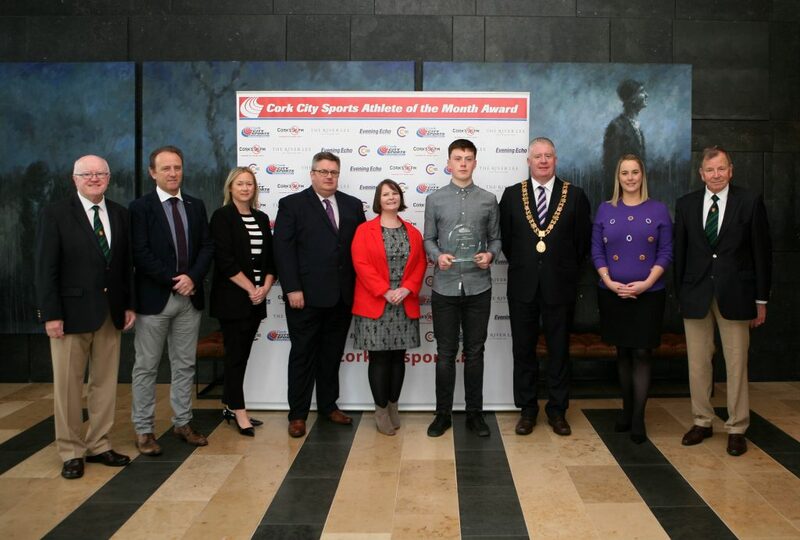 L to R., Tony O’Connell Chairman CCS, Eoghan Dinan, Evening Echo, Claire Myler, Sales Manager,The River Lee Kieran McGaery CEO, Cork 96FM C103, Isobel Keane, Events and Marketing Promotions Cork 96FM C103, Brian Lynch (Old Abbey AC) Award Winner, Lord Mayor Cllr. Mick Finn, Nicola Cullinane, Marketing Executive, Evening ECho and Frank Walley president CCS. Picture, Martin Collins.